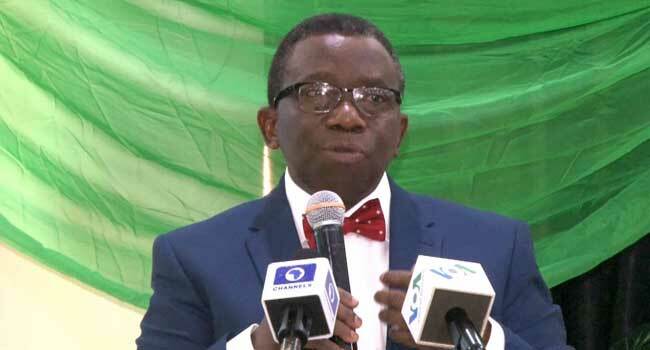 The Minister of Health, Professor Isaac Adewole, says inaccurate data of people living with HIV/AIDS in Nigeria has negatively impacted on Federal Government’s efforts to control the spread of the disease in the country. The minister made the observation at the signing of a 20 million dollars funding, for the Nigeria HIV/AIDS indicator and impact assessment survey. The minister, however, expressed confidence that the new deal will assist the government in planning its approaches to eliminating HIV/AIDS in Nigeria. He noted that an accurate survey will be carried across the 36 states of the federation with a view to ascertain the actual number of people living with the disease. The survey is also expected to eliminate the huge barrier to planning which includes the lack of accurate data; hence the U.S government needs the support of all for the survey to succeed. In 2015, the National Agency for the Control of HIV/AIDS (NACA) estimated HIV prevalence in Nigeria at 3.03 million. The agency also reported a drop in new infections rate from 130, 295 in 2010 to 104, 388 in 2015. These figures, however, have become obsolete for effective planning. Accurate data is arguably crucial for effective planning and distribution of resources to combat the spread of the disease and with the signing of this agreement, it is hoped that the Nigeria Government will have reliable data to plan, going forward.